I hurt my arm in college, I did ok to get drafted got treatment but eventually my arm kept dropping and dropping. Talked to Pirates when I was in AAA about pitching from there full time and they were ok with it. 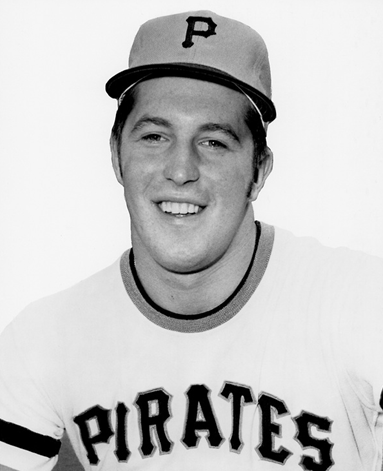 The Pirates had Kent Tekulve in A ball pitching from there. I had no coaching with it and no guidance cause not many pitchers were pitching from down there. Eventually guys like Tekulve and Dan Quisenberry from the Royals came into the league from that arm angle. Not many hitters had seen that arm angle before. My biggest problem was falling behind hitters then they would sit on the fastball. Didn't have the command from there to be as successful as Kent Tekulve, he could locate his pitches better from the submarine angle. Not at that time no I don't think so, the Pirates gave me an opportunity to extend my career. They were more open about having those type of pitchers around back then. I believe if you can keep your elbow parallel to your shoulder the best way to throw is from the 3/4 arm angle. I think 3/4 is more efficient. You see submarine guys of today like Darren O'Day and there biggest problem is falling behind hitters. It can be tough to repeat your delivery from down there. Don't rush and stay back. It's same principles no matter what your arm angle is. In order to be successful you need to be using both sides of the plate. I'm a big fan of using mirror drills to check yourself and seeing if you are repeating your delivery. Also a big fan that to be a successful pitcher you need to be mentally prepared, throwing each pitch for a purpose not just in the game but also in your bullpen sessions. Righties- I would attack them inside. Jam them as much as I possibly could, I loved it. I threw a heavy ball with late movement. Believer that you need to establish that inside past of the plate then makes it easier to get them away. Lefties- I had trouble coming inside vs them just because my ball would want to run back towards the plate. I would really have to focus when facing the left-handed hitters. I loved the new challenge of pitching from down there. It was something new and extended my career a bit. I have no regrets with my short career, I made the big leagues. I liked the reaction of the hitters who had never faced a submarine pitcher before and the movement that you could get from down there.